Tulisan di bawah mengakatan bahwa setiap makanan adalah obat. Apa pun yang kita makan penting dilihat dari sudut pandang kesehatan. Tidak ada jalan pintas, metode mudah atau obat-obatan yang bisa menyembuhkan diabetes. Sebab sistem kedokteran belum menemukan obat sempurna untuk itu. Tapi pengobatan cara Ayurvedic sudah mendekati dalam cara menyembuhkan diabetes. Metode yang digunakan dalam Ayuverdic membuat diabetes dapat dikontrol. Caranya adalah melalui pengaturan makanan. 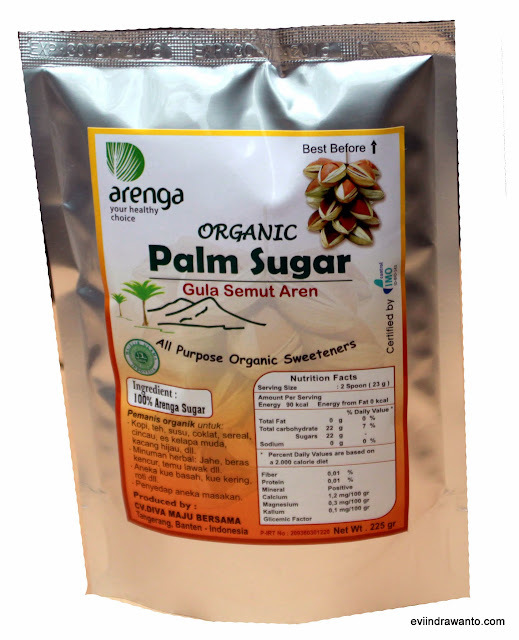 Untuk pemanis artikel ini menyarankan penderita diabetes mengganti gula putih dengan Palm Sugar. Lebih jauh tersirat bahwa menanggulangi diabetes dengan makanan bisa membawa penyembuhan. Every food is a medicine. What you eat is very important from the point of view of your health. There are no cut and dry methods and medicines by which you can cure diabetes. In fact, perfect cure for diabetes is yet to be found, in any system of medicine. But, Ayurvedic medicines are far near to the point of curing diabetes. This disease can certainly be controlled by Ayurveduic medicines. The prime concern in controlling diabetes is to see that the sugar level does not cross the recommended level. This means you need to avoid certain types of food and take regularly those food which are good for controlling diabetes. In short, processed foods and junk food, must be totally given up. Avoid sweets, glucose, fruit sugar, cakes, ice cream, chocolates, soft drinks, cream and fried foods. White sugar and white flour also cause further damage to the health of diabetes patients. Anything that contains harmful preservatives and too much salt should be avoided. Smoking and alcohol are taboo as well. So, in conclusion, your food is your medicine. Instead of the commercial tea, take green tea, parsley tea and blueberry leaf. Cook the kidney bean pods and drink that water–it is very good in the treatment of diabetes. Replace white sugar with palm sugar, dates and honey. Unpolished rice, sprouted grain should be taken in moderate quantity. Fats like olive. oil and peanut oil are good in diabetes. Drink abundant water, at least 8 to 10 glasses per day. If you can make the habit of it, raw vegetables need to be taken in large quantity. Cooked food raise the level of blood sugar fast. This apart, cooking destroys vitamins, enzymes and minerals in the vegetables and fruits. The real treatment of diabetes is through the fruits that you take. Take grapes, Indian blackberry, fig, kiwi fruits and citrus fruits and pomegranate juice. Let these things be your morning breakfast. As for vegetables, onion, garlic, radish, cucumber, carrot, tomato, cabbage and cucumber are excellent in the treatment of diabetes. Moong sprouted and unripe banana cooked, are also recommended. The next important part of the diet is to take those fruits and vegetables in which fiber content is very high. Such type of food lowers the need for insulin, the reason being it releases energy into the body cells slowly. High fiber diet means more chromium which is very helpful in the treatment of diabetes. Some herbs and vegetables are specifically prescribed for diabetes, like Bitter Gourd and bitter melon juice. Soak 50 gms of fenugreek seeds in a glass of water at night and drink the water early in the morning, after grinding the seeds in it. Draw a schedule, depending upon the level of your diabetes.